While the kids have fun trick or treating and devouring candy to last a whole year, there's also Halloween fun for adults to enjoy. 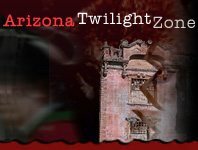 Arizona's Halloween Parties scene is complete with costume party festivities, dancing, drinks and more! Come in your over-the-top costume and be the winner of a costume contest or simply enjoy a fun evening out dressed in your best Halloween attire!